Professor of Music, Louis A Menchaca talks about the top qualities he looks for in a music major: Through the years, I have recruited hundreds of students — both music majors and students in other disciplines to participate in performance ensembles. Some of these students enjoy their ensemble experience so much that they seek me out and announce their decision to become music majors. In these cases, my initial response can best be described as ‘guarded optimism’. I wonder whether this student has what it takes to be a music major. Students studying music: what are they like? It’s easy to identify a committed music major. This student has expressed a desire to play, teach, or be involved with music at some professional level. This individual has either contacted me directly or has received an endorsement from his or her music teacher. I hold personal recommendations in high regard because they are an indicator that the student is well prepared for challenges and will not wilt when tackling harmony, conducting, piano proficiencies and other rigours of a collegiate music curriculum. The other type of student raises some concern. It’s distressing to see students who have been studying another discipline suddenly declare themselves music majors and then fail their courses because they did not expect the rigorous academic curriculum or did not have sufficient preparation. It is important for students to realise that becoming a music major entails more than simply playing or singing in an ensemble. What do first, second, third and fourth-year music students be aware of? First students who want to become music majors must acknowledge the importance and comprehensiveness of music theory. Many students become discouraged when they are entrenched in cumulative music theory and harmony courses that span several years. Even some fine performers have trouble with harmonic concepts, but these concepts are essential if students plan to teach or perform on a high level. A fundamental mistake students make is to underestimate basic musicianship skills, as well as knowledge of scales, triads and intervals. These form the groundwork for the study of and success in every other harmony and form course. If students fail to acquire basic skills in the beginning, they will have trouble in later music theory courses. Second students must acknowledge the significance of music history to their professional lives. A common complaint among undergraduates is that music history is a long, drawn-out trivia search. However, all teachers can attest to the value of music history as a tool not only in helping to select literature but also in properly teaching performance practices. A firm grounding in music history is indispensable as one continues to assimilate information through reading and research. A student’s knowledge of music history will be called upon daily in the music profession. Third students must realise that applied lessons are the serious groundwork for future growth. What is most distressing about some students in the applied studio is that they do not see the logic in practising fundamentals such as scales, intervals, technique, articulation, long tones and all the other skills that build technical proficiency. To achieve advanced musical proficiency and knowledge of repertoire are indispensable. Without solid and refined rudimentary skills, the student’s full potential will not be realised. The repetition of solid fundamentals is the price one must pay for true technical mastery to be reached. In a sense, one of the most important lessons a student must learn is how to practice. Many students cannot formulate a viable, tangible study and practice plan. Without this, progress is curtailed significantly. At this juncture, a student who thinks majoring in music is just singing with a group or playing an instrument faces his or her first real test. Does this student have what it takes to become a total professional musician? Fourth students must develop basic keyboard skills, which are helpful in studying scores, teaching harmony and providing basic accompaniment. As a matter of fact, a non-keyboard person can never get enough time at the keyboard. At the very minimum, students should acquire fundamental keyboard skills. To do so, all students should take applied piano instruction even if it is not required for one’s particular major. Students do not realise until they are out in the professional world that they will never again have the time or motivation to improve their piano skills. Time for professional music teachers is at a premium. Faculty members must see a student grapple with music theory, music history, applied studio study and keyboard skills before acknowledging the student as a serious music major. 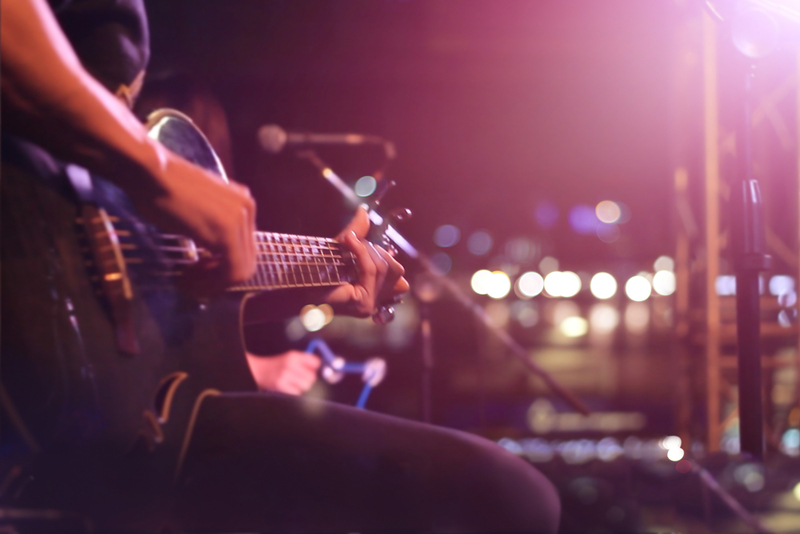 These four areas can serve as checkpoints along the path to becoming comprehensive musicians.